Industrial metal shredders for reducing light to moderate wads of metal turnings to flowable chips. 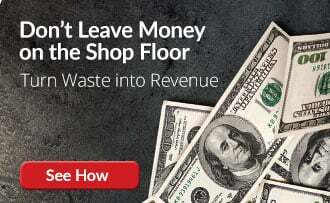 Reduce volumes by shredding metal turnings into flowable chips for higher value in scrap metal recycling. PRAB’s industrial metal shredders are a safe and cost-effective way to process all types of steel turnings and other metalworking scrap. They use less space for storage prior to scrap metal recycling and provide safer work areas. Available as a system integrated unit for use with chip processing/scrap removal equipment or as a stand-alone unit for volume reduction at the source. The metal turnings shredder allows production to operate in safer work areas by reducing the volume of metal scrap which requires less storage space prior to recycling. PRAB systems have the industry’s leading reputation as being dependable low-maintenance equipment with long service lives. The development of automated scrap removal systems begins with reducing the volume of metal turnings. Milling, turning, screw machining, and swiss machining operations all produce waste that varies in size, length, hardness, and configuration depending on the tool, operation, and material characteristics. The first step in this operation is using industrial metal shredders to create flowable chips from metal turnings to facilitate scrap metal recycling. To discuss your custom application please contact us today. Or, if you know your options and would like a quote from a product specialist click here. 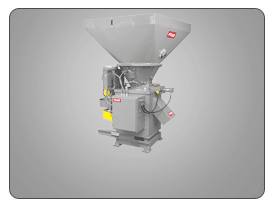 PRAB’s industrial metal shredders are available as a system integrated unit for use with chip processing/scrap removal systems or as a stand-alone unit for volume reduction at the source. 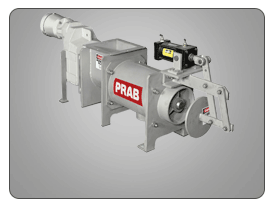 PRAB’s System-integrated (SMD) line of industrial metal shredders are efficient solutions for turnings volume reduction of ferrous and non-ferrous metals. 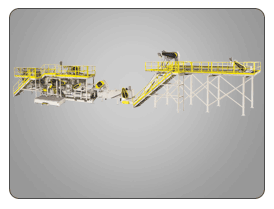 Units are integrated into complete chip processing/scrap metal recycling systems to provide size reduction of scrap prior to separating fluid from chips for sending to recycle. The quiet, energy-saving dual shafts operate by ripping and tearing turnings into manageable, shovel-grade chips for further processing. Available in 6 standard sizes. 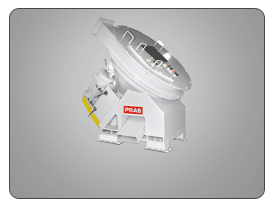 PRAB’s stand-alone Horizontal Axis Shredder (HAS) is a cost-effective solution for scrap metal recycling to reduce volumes of ferrous and non-ferrous metal turnings machine-side. The quiet, energy-saving dual shafts operate by ripping and tearing turnings into manageable, shovel-grade chips for further processing and scrap collection. Improve machining productivity at the source by filtering fluids with a single, integrated Guardian system. A Guardian system can process up to 1,500 gallons of coolant per hour (larger capacity systems are available). With Guardian-clarified coolants, you can extend tool life in your operation and save 25% in new tool purchases.